i haven’t played much music in a while, but i recently ended up playing bass in “Rock of Ages”, a broadway musical from 2010, playing at the Arts Center of Canon County , so i decided i needed a new bass. i had the body and neck mostly done already, as i had started them a few years ago and never got around to finishing them. 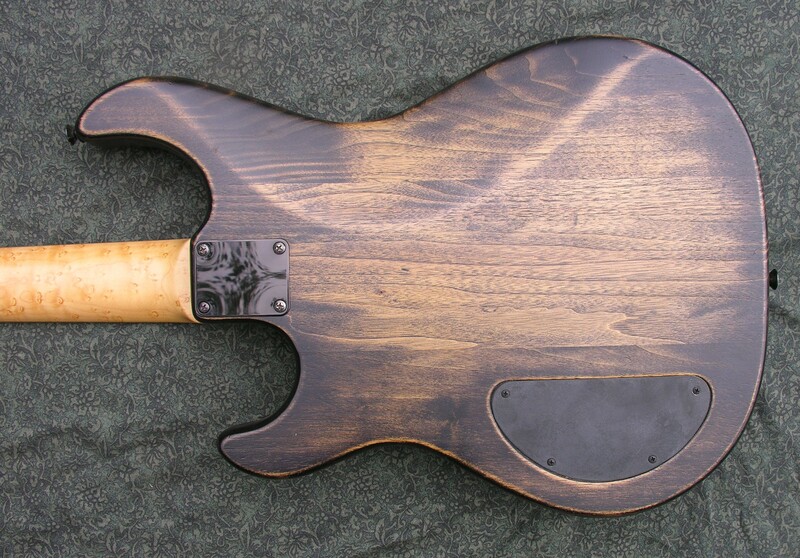 the body is butternut, with a 1/4″ bookmatched knotty eastern red cedar top. 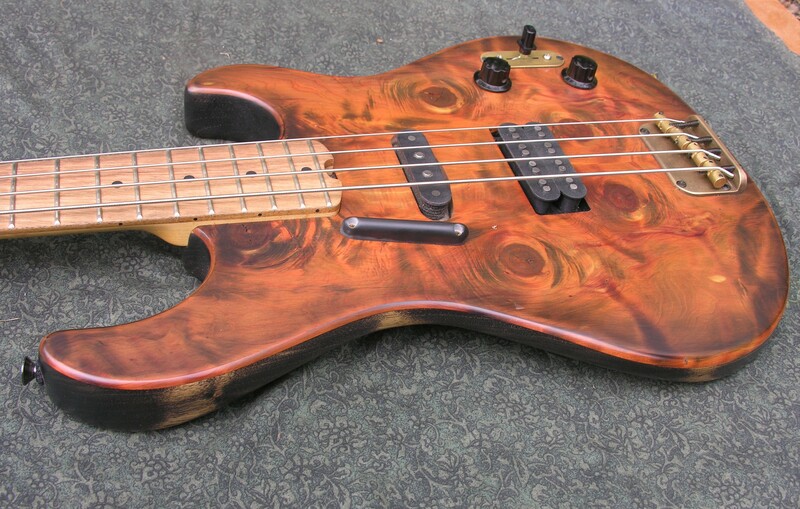 neck is birdseye maple, with a persimmon fretboard. the bridge is a thick brass hardtail i have had for a long time, and i don’t remember where it came from. rear pickup is a humbucker i made. 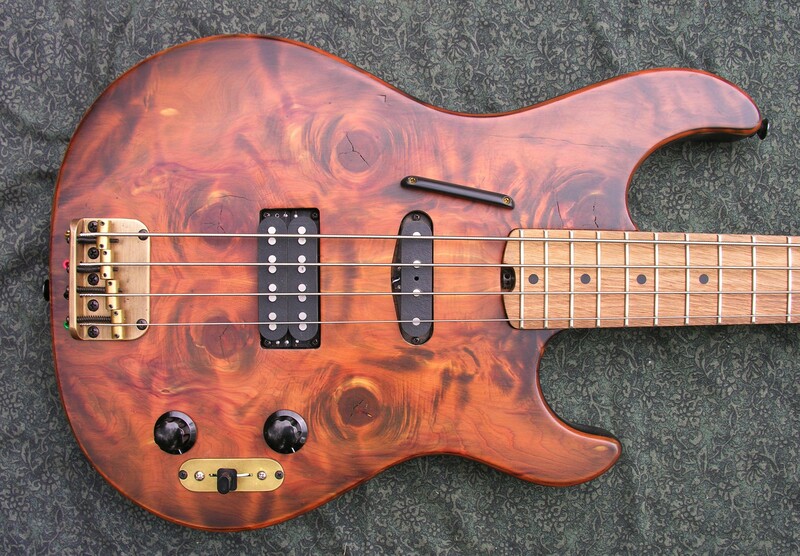 the coils are built like jazz bass pickups, with 8000 turns on one coil. and 12,000 on the other, with a coil tap at 8000.
the three position switch gives a heavy humbucker, a hot j-bass bridge, and a classic p-bass sound. weighs a little over seven pounds, which my shoulder likes a lot.